More Than Paper carries a wide selection of letterpress stationery, a method of printing that has regained popularity in the stationery industry. Letterpress is the original form of printing in which text and image appear in relief. If you've ever felt it, you will agree that letterpress paper has an incredible tactile feel. The origin of letterpress dates back to the 1400s. Digital and offset printing (which are the primary methods of printing today) were perfected in the 1950s and 60s, so letterpress printing presses across the country closed up shop. Over the last two decades, a revival of letterpress has been seen. 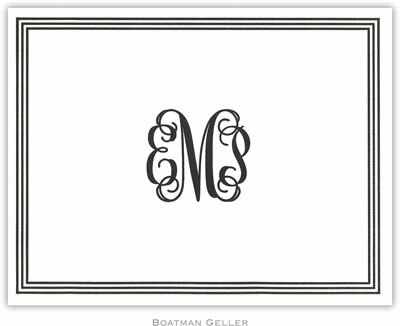 Boatman Geller has an incredible line of letterpress stationery for all occasions that we are showcasing today. Reserved for special letters and correspondence, these fresh letterpress designs are perfect for spring and summer. 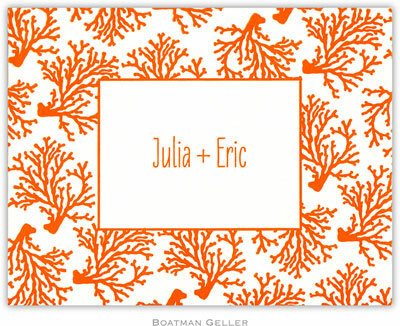 These cards and notes make great beach house stationery. 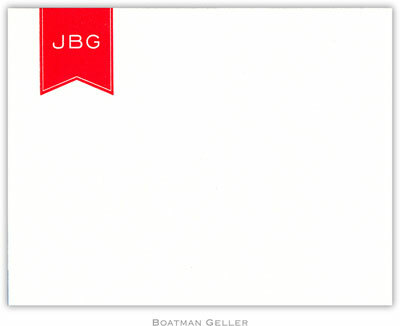 Boatman Geller also carries a selection of letterpress stationery perfect for men. 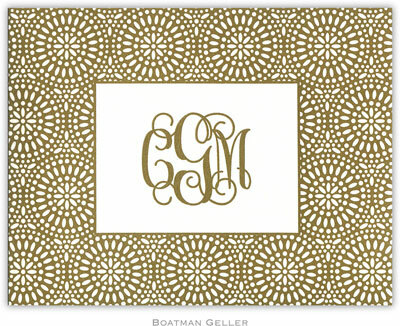 Simple designs and limited color palates, we like these options for everyday correspondence. Does you husband go on a lot of golf trips with friends? 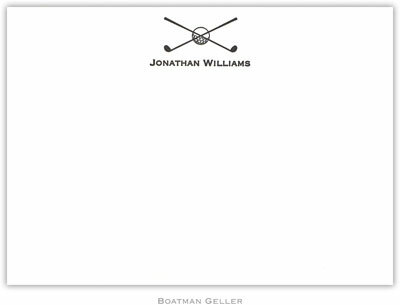 Reserve these for special thank you notes for a weekend hosted by his friend, or handwritten invitations to a golf game. 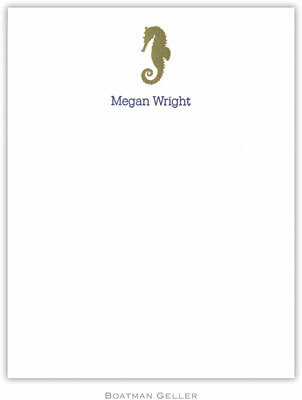 If you are investing in letterpress stationery, it's a good idea to stick to a design that can be used for all occasions. We like both of these -- a flat note and fold over note. 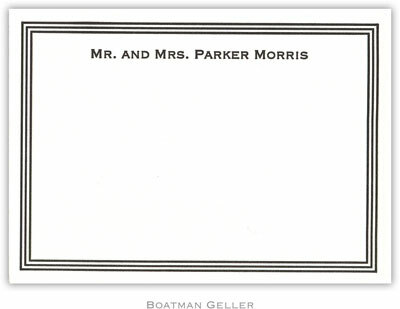 You'll have to feel it to believe it -- but in stationery, there's nothing more special than a letterpressed note. To learn more about the history of letterpress printing, read this article and shop More Than Paper for thousands of stationery styles and printing methods.